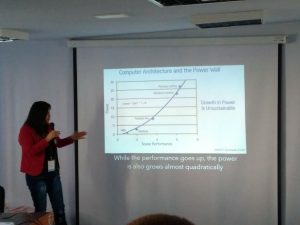 Linux Autumn, the 16th annual conference of Linux and free software enthusiasts, organized by PLUG, was held from 9 to 11 November. This year, same as last year, we met in Ustroń, southern Poland, but we changed the venue: this time it was Hotel Gwarek. But honestly speaking I think that this year Linux Autumn was very successful. We had as many as three foreign guests including some from outside Europe, plus of course many great people from Poland. Slowly our conference becomes more international. If you have not been there – you have good reasons to regret. 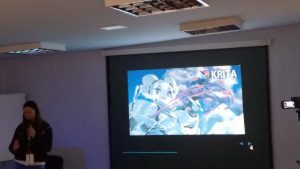 I managed to attend two talks, both very interesting. First Dominik ‘Rathann’ Mierzejewski was talking about common bugs in the development of packages for Fedora and similar operating systems. 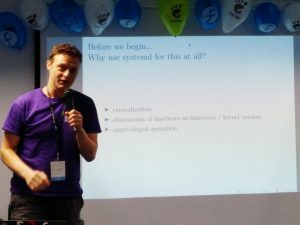 Dominik is a long time Fedora contributor and ambassador, maintainer of multiple packages, so he knew well what he was talking about. The second talk was given by Maja Kędras, a student from Wrocław University of Science and Technology. She summarized the graphics editors available in Linux: GIMP, Inkscape, Blender, and Krita. Those applications make great alternative for popular commercial packages. Sadly, they are not commonly appreciated. The day ended with a dinner which extended into late night socializing talks, board and old video games traditionally delivered by DKiG Foundation (Old Computers and Games). On the second day there were much more events than on the first one. 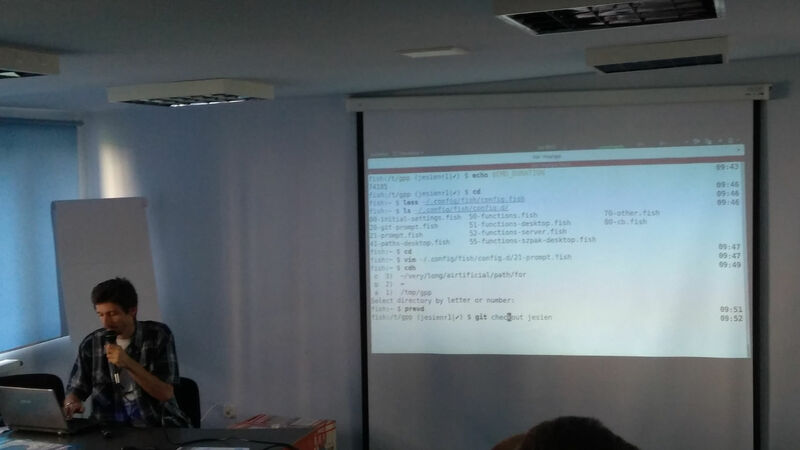 At 9 AM Marcin Zajączkowski gave a talk about Fish shell, an interesting alternative to bash. 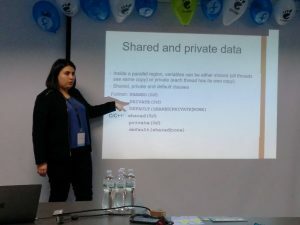 The second speaker was Julita Inca Chiroque, long time Fedora ambassador from Peru and GNOME Project contributor, currently studying High Performance Computing at the University of Edinburgh. 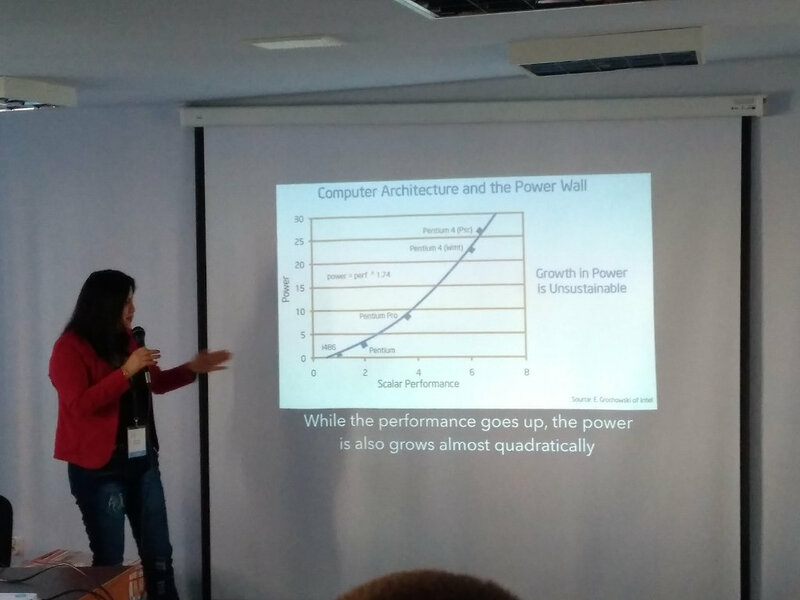 She talked about parallel computing libraries for C and Fortran: OpenMP and MPI. 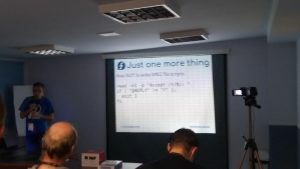 Next we had a little change in the agenda: instead of Maciej Lasyk who arrived only the next day Błażej Święcicki gave his talk about log analysis. Unfortunately, as an organizer I was unable to attend all talks so I don’t mention them here. The full list can be found at the organizer’s website. The next point for me was the lunch followed by two hours long workshop about parallel programming with OpenMP hosted by Julita Inca Chiroque and her fellow student from the University of Edinburgh Ana Maria Garcia (from Columbia). I really regret that so few people attended it because it was really interesting. Then there was the real centerpiece of the event: we organized Fedora 29 Release Party. I will describe it in a separate article. The next talk Securing your daemons using systemd was given by Zbigniew Jędrzejewski-Szmek, one of the main contributors of the project. Big shout to Zbyszek who was probably the first Polish speaker brave enough to give his talk in English thus making it accessible for the foreign guests. 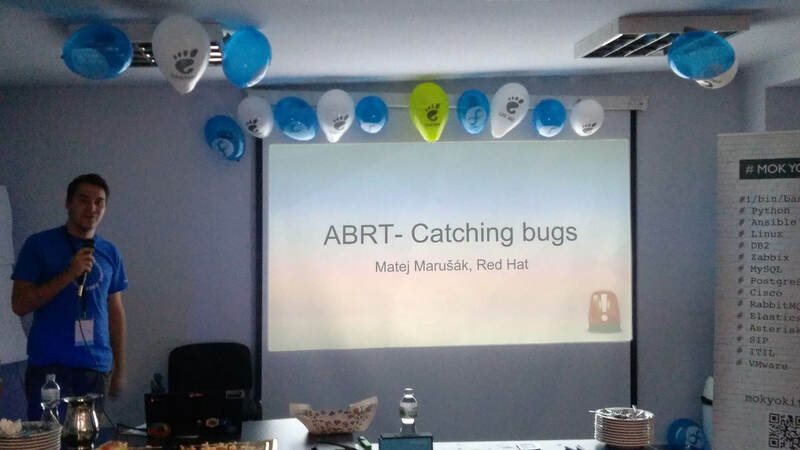 The last speaker of the day was Matej Marušák from Red Hat. Matej works in ABRT project and that’s how I had a chance to have met him before. He talked about that project. The day ended with an open air barbecue party, slightly delayed because of the tight timetable. Unfortunately, due to my organizer’s duties I was unable to attend any talk that day. 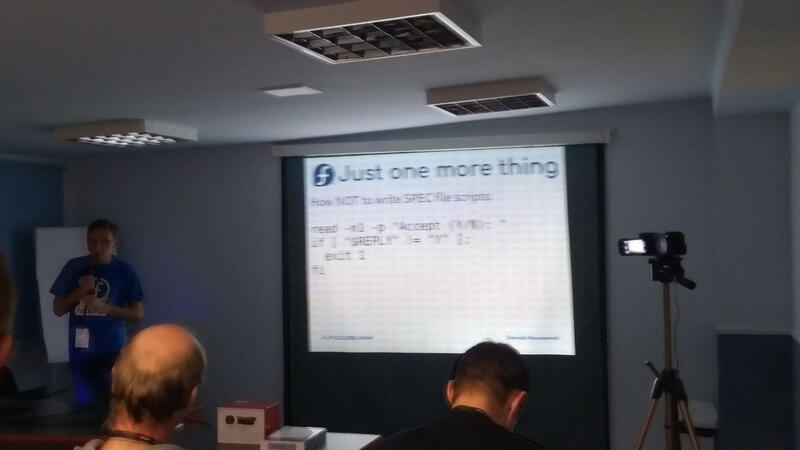 It’s a pity because from the agenda I know that Dariusz Puchalak talked about Ansible (fortunately, I attended his talk a year before) and there were two workshops: about development of RPM packages for Fedora and about Ansible for beginners. During that time I took care of the foreign guests. We went to the Krakow Balice airport but before we managed to sightsee Krakow for few hours and even some parts of Lesser Poland. It was funny as well. Last year Linux Autumn saw a little decline but this year it was much better. If we keep this trend, next year we will have a really great conference. Schedule it in your calendar already, see you next year!